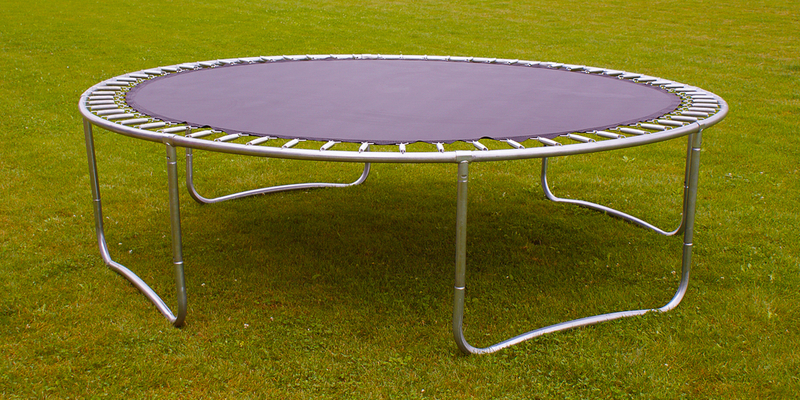 Have you discussed buying a trampoline for the kids with neighbours, family or friends? In your over-the-fence or dinner table chats, maybe you brought up the idea of backyard bouncing, only to be met with dire warnings and scepticism over safety. There was a time when this caution would have been warranted, but not today – if you're looking at the right models! Let's look at your typical dad, John, who refuses to consider a trampoline for his family, with the reason being that he had a bad fall off one when he was a young boy. His father had bought a second-hand trampoline – the type that most families owned back in the day – and he spent hours jumping and running around on the mat. One afternoon, John was bouncing on the trampoline while talking to his mother at the window. John then disappeared off the edge of the trampoline, and when his Mum ran out to see whether he was okay, it was clear that his arm was broken. John remembers the pain and the hospital visit that resulted with his arm set in plaster, and he remembers well the sadness when his dad gave away the trampoline. His siblings weren’t happy either; they all loved their old trampoline – even with its exposed edges and squeaky springs. John's kids are likely begging him to buy a trampoline for Christmas, but he keeps refusing. No amount of pleading by the little ones will change his mind! To him, they're not safe. Trampolines, he thinks, just lead to kids falling off the edge and hurting themselves. There may be many "John"s out there who've never looked into an Australian-designed trampoline made for our backyards. Great quality and safety in outdoor play products, like trampolines, does exist! With a little research, you can see for yourself the changes in design that truly improve the safety of today’s trampolines compared to those from when you were a kid. Chat with the team at Vuly Play! The premium features and build of a Vuly trampoline greatly decrease the likelihood of impact injuries. If you're sceptical about the inherent safety of 'traditional' trampolines, Vuly designs are anything but traditional. 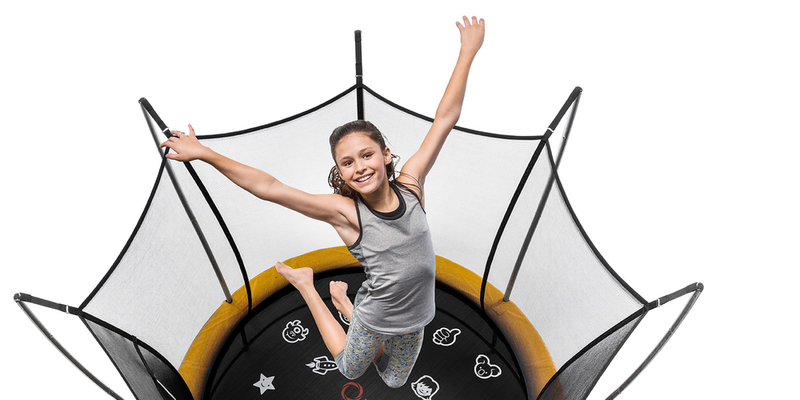 Vuly prioneered the safety enclosures – attached to the trampoline frame to ensure that no one falls off the edge – that are crucial to protecting your kids today. They would have made you a lot safer when you were little! Security is built into the design of all good enclosures. While most prevent the jumper from falling onto the ground, premium enclosures also prevent the jumper from touching the springs. Along with secure doors – like those from Vuly that close by themselves – have a strong fastening mechanism to keep the door from accidentally opening. If you're going to hit the hard poles that are holding up the net while you bounce, there isn't much point to having an enclosure! Nets should either feature thick reinforcement strips around the middle of the net to hold the weight of the jumper up or poles that bend away from the enclosure itself. The benefit to these Vuly-pioneered curved poles is that they allow the net to be supportive enough to catch falling bouncers, but not so taut that colliding with it hurts. The actual enclosure material should not only be durable and soft on young skin, but also UV and water-resistant for our rough climate. Polyethylene or premium terylene – which has been knotted so that the gaps are too small for little digits to get caught – make the best netting. At least 1.8 m of net height (the Vuly standard) is also essential to make sure that even tall bouncers can't vault over the edge. Attached netting must always completely isolate the bouncer from springs and frame contact points – not just for the user's safety, but for those supervising as well. Some trampoline nets use only Velcro or a stitched-on zip to seal their enclosure doors, which are not guaranteed to stay closed or maintain their integrity if the user lands atop them. The best doors – like those from Vuly – feature neither one of these inferior mechanisms. A flexible overlap in the net that allows easy entry and exit, while also snapping shut behind the bouncer, is the very best way to keep users safe. The door is just as strong and secure as the net around it! What would the hypothetical 'John' say about a Vuly – a trampoline that upends all his assumptions about the outdoor products that he trusts so little? Compared to many trampolines on the market, which are more aligned with John's low expectations, Vuly is somethnig different. Designed in Australia and manufactured to Australian Standards, they'd change John's mind! When it comes to trampolines, as with most products, you get what you pay for. A trampoline might be available for less than $100 at a department store, but is the low price really worth the compromise on safety? How confident do you feel when you're looking at the trampolines out there on the market that they will keep your kids secure and protect them while they bounce? It may be confusing to compare all the trampolines available today. There're so many options out there – all of different quality, and some at very competitive prices (available both in-store and online). However, your number one concern should be looking out for a quality enclosure. For peace of mind – especially when it's your children enjoying themselves on their trampoline – a good quality net is the most important safety feature. Choose a brand that's passionate about outstanding design, with top after-sales service and products that lead the way in safety – with the best, no-hard-contact enclosure design available.